CINP proudly presents the 2018 - 2020 Executive Committee. By clicking on the pictures you can access the curriculum vitae of each Executive Committee member. Dr. Siegfried Kasper is Professor of Psychiatry and Chairman of the Department of Psychiatry and Psychotherapy at the Medical University of Vienna, Austria. Born in Salzburg, Austria, he was educated at the medical schools of the University of Innsbruck, Austria and the Universities of Freiburg and Heidelberg, Germany. Dr. Kasper gained clinical and research experience in psychiatry at the Central Institute of Mental Health, Mannheim, Germany, the Psychiatric Department of the University of Heidelberg, Germany, the Clinical Psychobiology Branch of the National Institute of Mental Health, Bethesda, Maryland/USA, and the Psychiatric Department of the University of Bonn, Germany; in neurology at the Neurological Department of the University of Heidelberg in Mannheim; and psychotherapeutic and psychoanalytic training at the Ausbildungsinstitut für Psychotherapie und Psychoanalyse in Heidelberg/Mannheim, Germany. Dr. Kasper published 646 in PubMed listed publications (Google: Citation Index: 37071; Hirsch-Index: 94, i10-index: 559) and more than 250 books or book chapters, in various areas of psychiatry. He concentrates on the biological bases of mental disorders and their possible treatment approaches. Furthermore, he has conducted studies in psychopathological as well as clinical areas. Dr Kasper is a frequent national and international speaker and continues to be actively involved in research programmes studying depression, anxiety, psychosis, and dementia. Dr. Kasper serves/served on the executive committees and advisory boards of several national and international societies, such as the Austrian Association of Psychiatry, Psychotherapy and Psychosomatic (ÖGPP), the European College of Neuropsychopharmacology (ECNP) and the European Psychiatric Association (EPA). From 2005 to 2009 Dr. Kasper was President of the World Federation of Societies of Biological Psychiatry (WFSBP) and has been appointed as Honorary President of the WFSBP in 2013. He has been elected to the Executive Committee of the International College of Neuropsychopharmacology (CINP) for the period of 2012 to 2018 and is now President of this society. Moreover, Dr. Kasper is Chair of the World Psychiatric Association (WPA) Section of Pharmacopsychiatry. 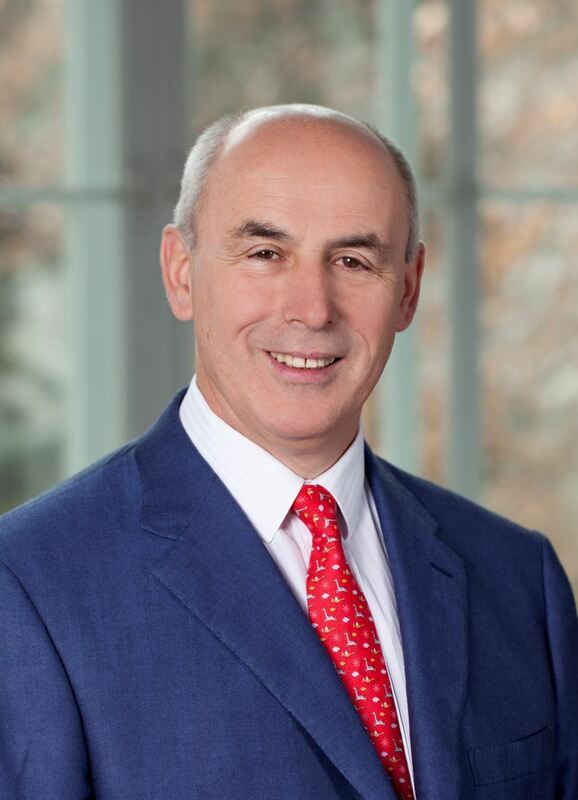 He is Founding President of the Austrian Society of Neuropsychopharmacology and Biological Psychiatry (ÖGPB) and of the Austrian Society of Drug Safety in Psychiatry (ÖAMSP). Furthermore, he is a Honorary Member of the Czech Society of Neuropsychopharmacology, the Romanian Society of Neuropsychopharmacology, the Hungarian Psychiatric Association and a Fellow of the Royal College of Psychiatrists, UK, as well as of the Scandinavian College of Neuro-Psychopharmacology (SCNP) and of the Ukrainian Association of Psychiatry. He is a member of the European Academy of Sciences and Arts (EASA). Furthermore, he has been appointed as Honorary/Visiting Professor at the following universities: University of Hong Kong, China, in 2004; Universidad Andrés Bello, Santiago de Chile, Chile, 2014; Aino University in Osaka, Japan, 2015; Kolkata Institute of Psychiatry, Department of Health & Family Welfare, India in 2016; University of Hiroshima, Japan, in 2017 and Belgrade University School of Medicine, Serbia, in 2017. 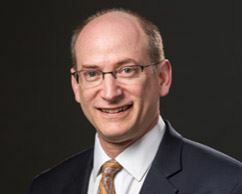 Dr. Kasper serves on the editorial boards of numerous learned journals, including The Lancet Psychiatry, CNS Spectrums, Journal of Affective Disorders, Pharmacopsychiatry, European Archives of Psychiatry and Neuroscience. He is Chief-Editor of the World Journal of Biological Psychiatry and the International Journal of Psychiatry in Clinical Practice, and Field Editor of the International Journal of Neuropsychopharmacology as well as Section Editor of the Annals of General Psychiatry. As a result of his research expertise he is the recipient of numerous national and international scientific and public awards and prizes and has been acknowledged with the Grand Decoration of Honor in Silver for Services to the Republic of Austria, the Austrian Cross of Honor for Science and Art, First Class and the Gold Medal for Meritorious Service to the Province of Vienna. Dr. Krystal is the Robert L. McNeil, Jr., Professor of Translational Research; Professor of Psychiatry, Neuroscience, and Psychology; and Chair of the Department of Psychiatry at the Yale University. He is also Chief of Psychiatry and Behavioral Health at Yale-New Haven Hospital. He is a graduate of the University of Chicago, Yale University School of Medicine, and the Yale Psychiatry Residency Training Program. He has published extensively on the neurobiology and treatment of schizophrenia, alcoholism, PTSD, and depression. Notably, he led the discovery of the rapid antidepressant effects of ketamine in humans. He is the Director of the NIAAA Center for the Translational Neuroscience of Alcoholism and the Clinical Neuroscience Division of the VA National Center for PTSD. Dr. Krystal is a member of the U.S. National Academy of Medicine. Currently, he is a member of the NIMH National Mental Health Advisory Council; co-director of the Neuroscience Forum of the U.S. National Academies of Sciences, Engineering, and Medicine; and editor of Biological Psychiatry (IF=11.982). He is past president of the American College of Neuropsychopharmacology (ACNP) and International College of Neuropsychopharmacology (CINP). Dr Pierre Blier is a Full Professor for the Departments of Psychiatry and Cellular & Molecular Medicine in the Faculty of Medicine at the University of Ottawa in Ottawa, Ontario, Canada, and the Director of the Mood Disorders Research Unit at The Royal’s Institute of Mental Health Research. Dr Blier is on the editorial boards of several journals and is the co-editor in chief for the Journal of Psychopharmacolgy and field editor for translational medicine for the official journal of International College of Neuropsychopharmacology (CINP). In addition to his extensive list of publications and lectures presented worldwide, Dr. Blier has contributed to several treatment guidelines for psychiatric disorders. Dr Blier has a basic research laboratory investigating how psychotropic medications work in the brain, he carries out investigator-initiated clinical studies, and treats patients with mood and anxiety disorders on a daily basis. 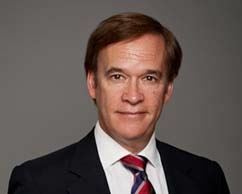 Dr Blier received several awards for outstanding contributions to psychopharmacology including the Canada Research Chair in Psychopharmacology from the Government of Canada and is now a Fellow of the Royal Society of Canada (Life Sciences). He also serves on several committees, including the presidency elect of the CINP. Dr. Shih-Ku Lin graduated from Kaohsiung Medical University in 1981, and received his psychiatric residency training in Taipei City Psychiatric Center (TCPC). After completing the training and acquired Board Certified Psychiatrist qualification, he had his fellowship of child psychiatry at Kansas University Medical Center in 1988. In 1993, he was appointed as the Chief of Department of Addiction Science at TCPC and has led this department for 11 years. Currently he is the Chair of Department of Psychiatry, Taipei City Hospital and Psychiatric Center and adjunct associate professor, College of Medicine, Taipei Medical University. 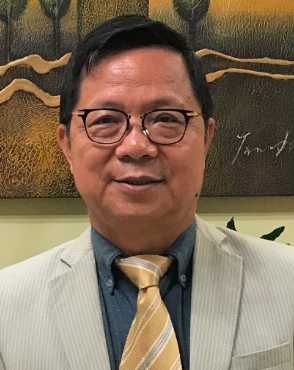 Since his residency, he followed Professor Wen-Ho Chang in academic researches and participated in the founding of Taiwanese Society of Biological Psychiatry and Neuropsychopharmacology (TSBPN) and served the first secretary of this Society in 2002. Dr. Lin also founded Taiwanese Society of Addiction and served the first President in 2008. Currently he is the President of TSBPN (2016-2019). Dr Lin’s research interest includes psychopharmacology, focusing on ethnic differences in pharmacokinetics and new drug clinical trials. Currently he is in charge of Research on Asian Psychotropic Prescription Pattern (REAP BD and MS) which will involve 15 Asian Countries and Region, to survey the medications used in bipolar disorder, and the disorders using mood stabilizers other than bipolar disorder. In addictive disorders, his groups focus on methamphetamine-induced psychosis and ketamine use disorder, covers from genetic study to clinical interventions. He also has more than twenty years’ experiences in clinical trials, mostly for phase II or III global and regional new psychotropic drug development. Dr Lin has published more than one hundred and twenty peer reviewed papers and has reviewed articles for many international journals. Prof. Zohar is the Director of the National Post-Trauma Center, Research Foundation by the Sheba Medical Center, Israel. He is an emeritus professor of Psychiatry at the Sackler Faculty of Medicine, at Tel Aviv University. Prof. Zohar is the past-President of the European College of Neuropsychopharmacology (ECNP). 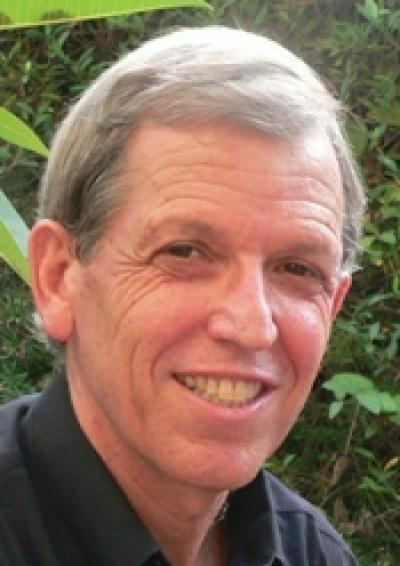 He is also chair of the Israeli consortium on PTSD, chair of the International College of Obsessive-Compulsive Spectrum Disorders (ICOCS), a board member for the International Master in Affective Neuroscience, and a visiting Professor at the University of Maastricht in The Netherland. Prof. Zohar had been honored with several awards, including the Fogarty International Research Fellowship Award (1984), the A.E. Bennet Award for Clinical Research (1986 and 2002), ECNP Neuroscience Award for Clinical Research (1998), and the WFSBP Award for Excellence in Education (2001). Prof. Zohar has recently (2012) received funding (RO1) from National Institute of Mental Health (NIMH) to explore secondary prevention of PTSD and from NATO (2018) to develop a guideline on the treatment in the “Golden Hours” after a terror attack. He is also the Co-Chair of EU grant on Problematic Use of Internet PUI (2017). Elias Eriksson began his studies in medicine at the University of Gothenburg in 1975. Having had his scientific training at the department of pharmacology, led by monoamine pioneer and Nobel prize winner Arvid Carlsson, Eriksson became Med Dr. in 1985, associate professor in 1988 and researcher at the Swedish MRC in 2000. From 2001 he has been professor of pharmacology at the University of Gothenburg. Eriksson is the author of approximately 300 papers mainly in the fields of preclinical and clinical psychopharmacology and has been invited speaker at >100 scientific international meetings. He has been main supervisor for 18 PhD students. He has previously been chairman of the Swedish Society for Biological Psychiatry and the Swedish Serotonin Society and a board member of the Scandinavian College of Neuropsychopharmacology and the Swedish Schizophrenia Foundation. He is a member of the Scientific Council for Medicine and Health in Sweden and an honorary member of the Swedish Society for Biological Psychiatry and the Swedish Serotonin Society. Eriksson’s preclinical and clinical studies have mainly been related to the importance of monoamines for the treatment of psychiatric disorders. He and his co-workers were early advocates of a role for serotonin in the treatment of panic disorder, being involved in the first approval of an antidepressant (clomipramine) for this disorder, and the first to show serotonin reuptake inhibitors to exert a prompt and dramatic symptom reduction in premenstrual dysphoric disorder. They have conducted numerous preclinical and clinical studies aiming to shed light on why inhibition of the serotonin transporter causes symptom reduction in so many disparate conditions, some effects occurring early and some requiring weeks of treatment to be maximal. Eriksson and co-workers have also taken an interest in the on-­‐going debate regarding the alleged ineffectiveness of antidepressants, publishing a number of patient-level meta-analyses suggesting the questioning of these drugs to be largely unfounded. Eriksson and co-workers have also studied dopaminergic receptors, and were, e.g., the first to establish the pharmacological similarities between D2 autoreceptors in brain and prolactin-­‐regulating D2 receptors in the pituitary. Studying the influence of haloperidol on D2-­‐ receptor-­‐mediated regulation of prolactin release in vitro, they were also the first to provide functional evidence for the fact that a G protein-­‐coupled receptor may be the subject of inverse agonism. Dr. Kazutaka Ikeda is the Chair of the Department of Psychiatry and Behavioral Sciences at the Tokyo Metropolitan Institute of Medical Science. He graduated from the Faculty of Technology at The University of Tokyo (B.Eng.) in 1989 and obtained his M.Med degree from Osaka University in 1991 and Ph.D. degree from Niigata University in 1995. While in Prof. Mishina’s laboratory at Niigata University, he cloned cDNA for the NMDA GluN2D receptor channel subunit and produced mice that lacked this subunit. He also produced mice that lacked the glutamate GluD2 receptor channel subunit and revealed a pivotal role for this subunit in motor control. Furthermore, he started studies on the opioid system and G protein-activated inwardly rectifying potassium (GIRK) channels. As a research fellow at RIKEN Brain Science Institute (1995-2000), he continued opioid and GIRK research and started studies on the dopamine system. 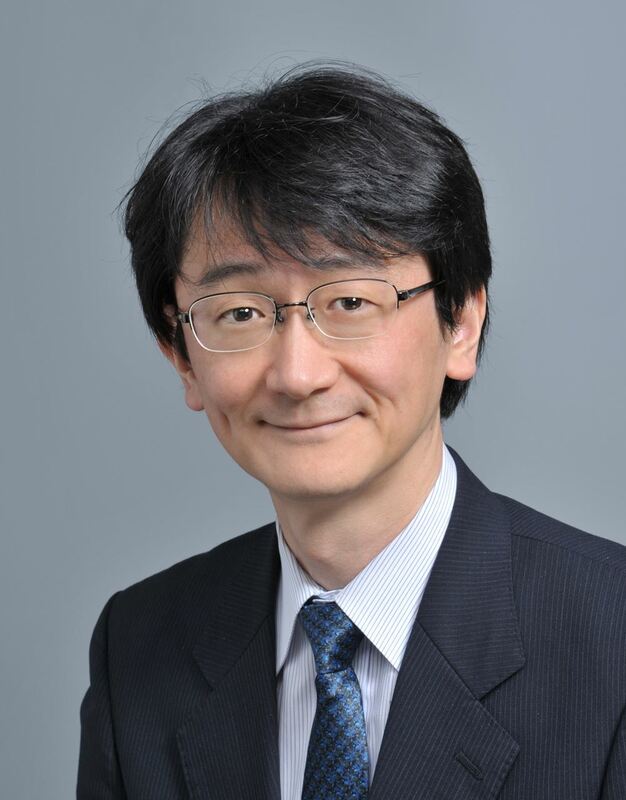 He was appointed Senior Research Fellow (2000), Acting Chair (2002), and Chair (2003) in the Department of Molecular Psychiatry, Tokyo Institute Psychiatry, and Leader of the Addiction Substance Project (2011) and Chair of the Department of Psychiatry and Behavioral Sciences at the Tokyo Metropolitan Institute of Medical Science (2015). While at these institutions, he continued studies on addiction, schizophrenia, analgesia, and neurodevelopmental disorders at the molecular, genetic, animal-behavioral, and clinical levels. He has approximately 300 publications on these topics in prominent scientific journals. He was awarded the Distinguished International Scientist Collaboration Program Award from the U.S. National Institute on Drug Abuse in 2004, among several other awards. He is serving as an Academic Editor of PLoS One, a Field Editor of Alcoholism: Clinical and Experimental Research, and an Editorial Board Member of several other journals. He has been a Fellow of CINP since 2010 and served as CINP Councillor (2016-2018). The Japanese Society of Neuropsychopharmacology (JSNP) has over 1300 members and is under the umbrella of CINP. He is currently President of JSNP (2016-2018). He is President-elect (2017-2018) of the Asian College of Neuropsychopharmacology (AsCNP), which has over 3000 members and is also under the umbrella of CINP. He is a member of the American College of Neuropsychopharmacolgy (since 2014). He is also a member of the Science Council of Japan (2014-2020).